With Thanksgiving over and the winter holidays around the corner, people across the nation are gearing up to gain a few pounds (see photo above) and shop till they drop. But three gentlemen in the Raleigh, North Carolina area decided to abandon the usual purchasing process and go all Winona Ryder on “the world’s largest department store,” Macy’s. It’s too bad for these guys because Macy’s employees are trained to work as a team to spot and prevent shoplifters from stealing goods. 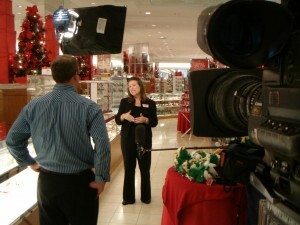 After a phenomenal team effort to bust the criminal trio, Macy’s head office wanted to profile the Raleigh store in an internal video. 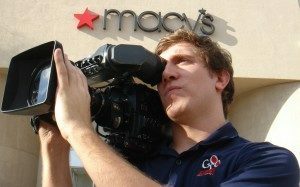 So the Richmond, Virginia based HD video crew traveled down to Tar Heel country and shot a beautiful piece profiling the Crabtree Valley Mall store. While GTT couldn’t work out a deal to be on the bottom end of Snoopy next Thanksgiving, the crew had a great time on the shoot.